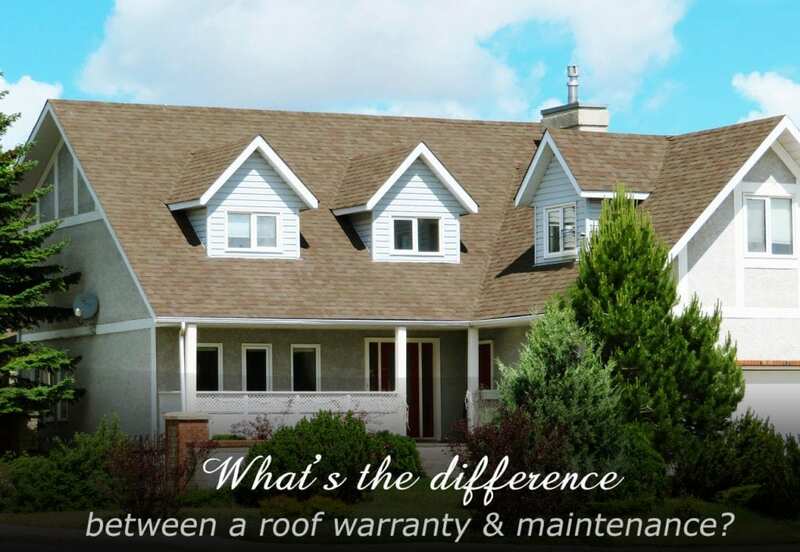 Upon completion of your new roof, you probably received paperwork for two types of warranties. One for materials and another covering workmanship. In nearly all of those warranties there is verbiage about roof maintenance after installation. In fact, if you fail to keep up with regular maintenance your warranty could be invalid. It is true that a roof is only as good as the material it is built with, the integrity it is installed with and the care it receives! That’s why we offer a Roof Maintenance Program to extend the life of your roofing system. In fact, this maintenance program is available to all residential shingle and metal roofs; new and existing. Eligible roofs include those installed by R.I.G. Construction and Roofing and (yes, even) our competitors! Your roof is an investment. One that should last for decades when properly cared for. A roof warranty not only provides you with peace of mind, it protects your investment. Virtually every new roof will come with a warranty. So, if you experience a problem with your roofing system, the warranty guarantees it is corrected without costing you more money. A workmanship warranty, sometimes called a contractor warranty, is provided by the roofing contractor that installs your roof. At RIG Construction and Roofing we are proud to offer a 10-year workmanship warranty – one of the best in the industry! Our workmanship warranty guarantees the work our crew does when installing your new roof. A manufacturer or product warranty is provided by the company who produced the roofing materials. For example, CertainTeed and GAF both offer industry leading warranties on their roofing materials. However, when these products experience defects or fail to hold up as stated in your warranty the manufacturer is responsible for replacing them. This is usually done secondarily, after it is verified that your contractor installed the materials correctly. The National Roofing Contractors Association (NRCA) recommends bi-annual scheduled maintenance and repairs. It is best to line up these scheduled maintenances before and after your severe weather season. Here in central Florida hurricane season starts June 1st and ends November 30th. Remember, these will also be the most popular times for roofing contractors to complete roofing maintenance and it is best to reserve your appointment in advance. At R.I.G. Construction and Roofing our maintenance plans include cleaning the roof of natural debris, clearing all gutters and downspouts, assessing vulnerable points in the roof system and more. Living in the “sunshine state” you realize our weather consists of more than sunshine and rainbows. We have some pretty severe weather that comes through in the warmer months ranging from hail, high winds, and thunderstorms to full-force hurricanes. There will likely be times when you want extra checkups in addition to your bi-annual roof maintenance. That is why we offer a premium maintenance plan that offers 2 additional maintenance services throughout the year. These inspections will be the same as your bi-annual ones and you can also schedule time to sit down with one of our roofing experts to address any concerns or hear our recommendations. A maintenance plan is an easy way for home owners to ensure their peace of mind and to ensure their warranty stays in good standing. Why Do I Need A Roof Maintenance Plan If I Already Have A Roof Warranty? Now that we’ve covered the basics of explaining warranties and roof maintenance plans, why do you need both? To keep it short: A warranty will not make your roof last longer. As a homeowner, your roof is your responsibility. If you fail to take care of your roof through regular maintenance and inspections, your warranty could become invalid. This could cost you thousands $$$ in untimely repairs. Repairs that likely would have been covered by your warranty, if you had taken the proper precautions. Typically, a roof warranty requires a yearly inspection by an authorized contractor to keep it in good standing. This requirement benefits the homeowner and the manufacturer that issues the warranty. As part of your yearly inspection, the inspector will check for current problems and areas that pose potential problems for the future. With an R.I.G. Roofing maintenance plan, you will get even more. We clean your gutters, mend flashings and perform minor repairs and it’s all included in your maintenance plan pricing. Having an expert roofing team on your side gives you peace of mind. Our roof maintenance plan maximizes your roof’s lifespan and keeps your warranty intact. Why Choose R.I.G. Construction and Roofing? Our highly skilled team and award-winning service are unmatched. We are your turn-key roofing contractors from start to finish and beyond. Our services are diverse and we tailor our expertise to suit your roofing needs. To schedule a consultation with one of our roofing experts or to take part of our maintenance plan please call 863.294.4477 (Monday-Friday 8:30 am-5:00 pm) or send us a message online anytime. R.I.G. Construction and Roofing is proud to serve residential and commercial customers in the central Florida area including Lakeland, Winter Haven, Polk County, Orange County and Hillsborough County Florida. This entry was posted in Blog, Tips, Uncategorized and tagged maintenance, manufacturer, product, roof maintenance, warranties, warranty, workmanship.